The possibilities are limitless! Do you need 1 or 50? No order is too large or too small. Choose from a wide array of colors, sizes and materials and find the combination that's right for your needs. Our trained and experienced team members will ensure that your order is produced to your specifications and ready when you want it. We offer a wide range of indoor and outdoor signs and banner options, including lightweight signs, magnetic auto graphics, vinyl banners, A-frames, posters, and large-format presentation materials. We even offer vinyl lettering, labels and decals that are as simple to use as bumper stickers. 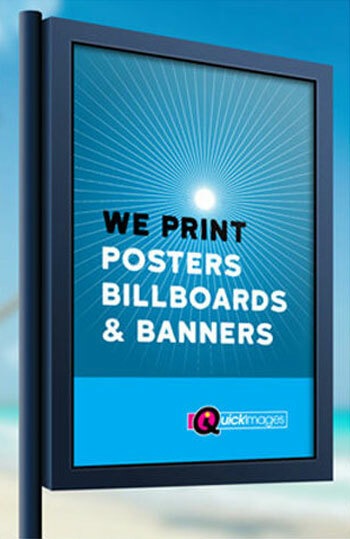 No matter what your budget or project size, QuickImages can help you create an impactful message that gets noticed.